Kithulgala – Level 4 white water rafting on Kalaniganga. Program Meet and greet by your chauffeur guide/representative, and transfer to Beach Hotel. Evening take a city tour in Negombo. Program Early morning visit to Negombo Fish Market, back to hotel refresh. Breakfast and proceed to Colombo, and take a city tour: Cty Center Pettah, Colonial Capital Fort, Old Parliament, Galle Face Green, Gangarama Temple, Town Hall, Independence square/Arcade, Colombo City Center and Shopping. Proceed to Bentota by afternoon, take a boat cruise on Maaduganga, visit Turtle Hatchery and get settled for the evening at Galle Fort. Program Breakfast and rent a bicycle and peddle around or walk around Dutch Fort Ramart, visit Fort museum and by afternoon proceed to Sinharaja Rain Forest, and get settled for the evening. Program Early breakfast and explore Sinharaja Rain Forest with the help of a trekker, make sure to enjoy a dip at the natural pool along the Singharaja water falls. Relax for a while afternoon proceed to Tissamaharama. Notes/ Tips Make sure to keep a walking shoes with you. DAY – 05	Explore Yala National Park, drive to Ella and visit Demodara 9 arch rail bridge. Program Early morning by 06:00 am with takeaway breakfast, explore Yala National park by Jeep, and by noon proceed to Ella, stop at Rawana falls and visit Demodara Rain bridge, which was done during the Colonial era by the local contractors. DAY – 06	Refreshing early morning walk to Little Adams peak view point & World’s scenic train ride. Program Early morning take a refreshing walk up to Little Adams peak view point, back to hotel. Refresh, breakfast and take the morning train from Ella train station to Nanoya. Train will take you through the best of tea fields of the Island. Your driver will pick from Nanoya train station and transfer to hotel in Nuwara Eliya. Refresh and visit Seetha Amman Temple, Gayathreepeedam, walk around the little town and spend the evening around Gregoy’s lake. Notes/ Tips Basic warm cloths for the night in Nuwara Eliya and walking shoes for the Little Adams peak will be adequate. DAY – 07	Horton Plain Rain Forest and proceed to Pinnawela with Tea factory visit. Program Early morning with takeaway breakfast drive to Horton Plain Rain Forest and walk up to World’s end view point and Bakers falls. By noon drive to World's largest Elephant Orphanage in Pinnawela, en route stops at Ramboda falls, tea field and Tea Factory. Reach Elephant Orphanage, observe more than 100 elephants are been fed, whole herd marching towards the river and bathing. Reach Kandy for the evening. Notes/ Tips Feeding milk can be done during feeding time 0900 am, other than that feeding is not entertained. Program Breakfast and visit Royal Botanical Garden, take a city tour, visits including a drive up to Kandy city view point, Kandy city center, Gem museum and lapidary, Kandy Market, Temple of the Tooth Relic, and evening Cultural show at the Kandyan Cultural Center. Notes/ Tips Don’t forget to cover up to knee and shoulders when visiting Temple of the Tooth. Program Breakfast and proceed to Dambulla, stops at Batik factory, Spice and Herbal Garden in Matale. Visit Rock Temple, and option to visit Golden Temple in Dambulla. Proceed to Habarana and explore Minneriya/ Khaudulla national park by Jeep. Get settle at hotel for the evening. Notes/ Tips Cover knee and shoulder when visiting Temples. Program Early breakfast, climb Sigiriya Fortress and take a village safari at Hiriwaduna village. You will be taken through lush green paddy field by bullock cart, a canoe ride across the lake, enjoy Ceylon tea and authentic Sri Lankan Lunch. Relax the evening. Notes/ Tips Basic walking shoe will be fine for Sigiriya Rock climbing. Program Relax on the morning on the beach, and proceed to Trincomale, via Vakari. Reach Trincomalee and take a city tour including the famous Hindu Temple Koneswaram. Get settled for beach stay. Possible Activities: Snorkeling, diving, surfing, Fishing, Whale & Dolphin watch etc. Program Relax on the beach. Possible Activities: Snorkeling, diving, surfing, Fishing, Whale & Dolphin watch etc. Program Breakfast and drive to Anuradhapura UNESCO protected ruin city and visit all the sites including Mihintale Rock Temple. Notes/ Tips When visit Temples, do cover your knee and shoulder. 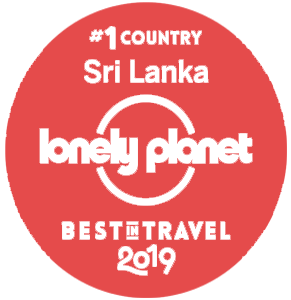 Program Early morning with takeaway breakfast, explore the largest national park in the Island, and by noon proceed to Negombo. Stop at Munneswaram Hindu Temple in Chilaw. Notes/ Tips Double check your flight confirmation and documents.